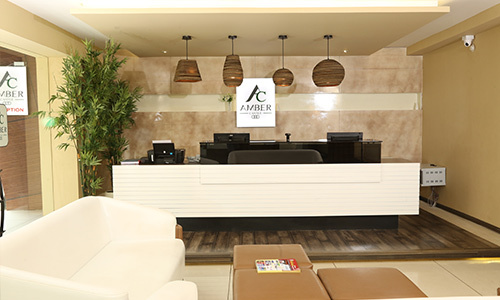 Amber Castle is one of the top luxury hotels in Hassan, Karnataka.The hotel possess all sort of rooms with reasonable rates for comfortable and luxury stay including Single room, Double room, Amber and May Flower suites. All of our guest rooms for stay are designed to ensure that your mind, body & soul are infused with the spirit of Hassan. 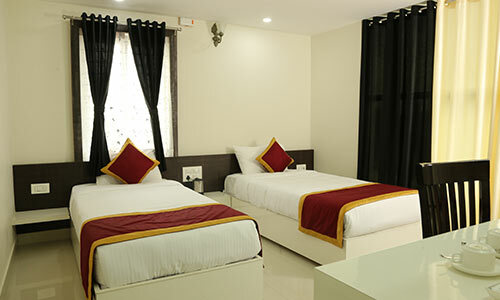 Our hotel offers 26 rooms, 24 hrs customers cares & also Travel desk are a part of the hotel. Stand by power supply and Doctor on call is our specialty. 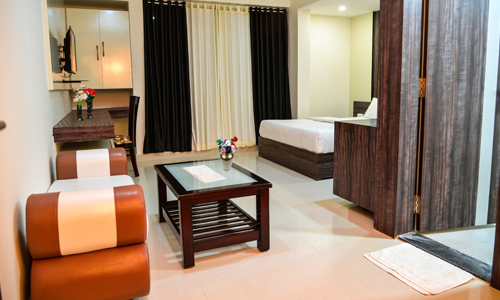 Centralized AC, High speed WI-FI internet Access and highly secure car parking area are other facilities of the hotel. One of the best deluxe hotels in Hassan. The Hotel has an attached family restaurant. 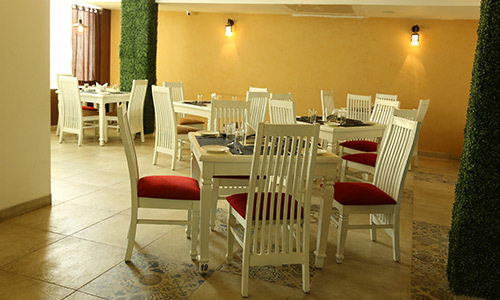 Provide its customers with the best homely delicious South Indian, North Indian and Chinese food in Hassan.